'Your service has been fast, efficient and faultless.' George - Onehunga. 'My cards are stunning and fabulous! I love them!!!' Jackie - Auckland. 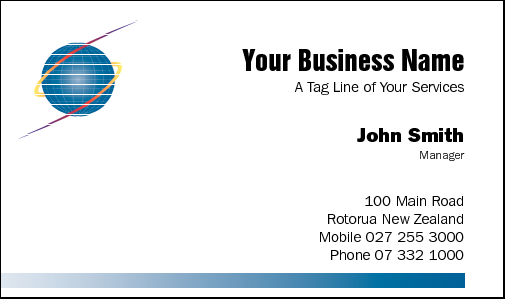 'Thankyou for the wonderful business cards and fast service.' Heather - Katikati. 'Your service, output quality and timelines of finished product arrival has just been superb.' Paul - Papamoa. Design No 2425 Click the Card above. Design No 613 Click the Card above. 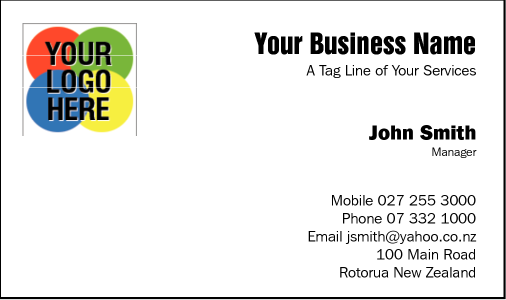 Whether you are starting a new business, or you want to customise your existing business cards, or perhaps you need a personal card for your family details, you will find exactly what you want here. By selecting a template and customising it for your needs, the artwork is free. On top of this our quality is second to none. We are printing and dispatching orders within approx 3 working days. 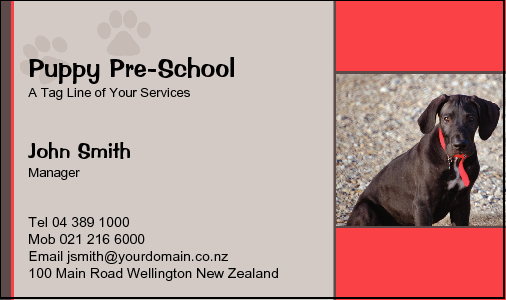 Whether you are in Auckland or Christchurch, Dunedin or Rotorua, Wellington or Stewart Island, we service your market.